I do not know why, but I have a fascination with boxes in relation to Tea. I love dogu that has a wooden box, I love chabako, I love satsubako, and I love tabidansu. I would like to share some information about the last one. 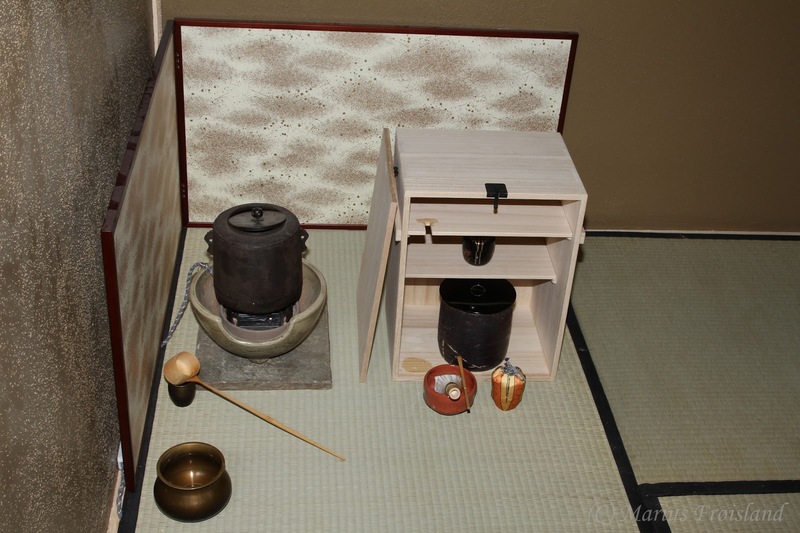 Tana is the Japanese word used to describe a small table or stand that is used in Tea. The stand can have one or more shelves and is used to place various utensils on. This changes the way the host prepare Tea. Tabidansu is a tana. As you can see from the image on the right, tabidanus is shaped like a wooden box, with two internal shelves. The first tabidansu is said to be a warriors box for storing armour. With a small handle on each side for ease of carry. On the front there is a simple locking mechanism. It is said that Rikyu used a tabidansu at the battle of Odawara. In many ways tabidansu is “just” another tana. But for me it holds a special place. I like the way it looks especially for usucha. It is placed next the the kettle all neat and closed, like it was always standing this way. After you have made tea you put it back exactly the same. The temae is over, but the room is ready for the next guest. Tabidansu is 33.8cm wide, 26.7cm deep, and 44.7cm high. It is usually created made of unfinished paulownia wood. The midle shelf is removable and can be used as a stand for utensils when doing temae on grass. There is a very similar tana called Yachiyo-dana, which is lacquered in red, this tana was designed by Tantansais wife Kayoko. Koicha: When starting the temae the tabidansu is open. Mizusashi has been pulled forward. Chaire is placed infront of mizusashi as usuall. Koicha: At the end refill mizusashi as usuall with tana, then move it back into the tabidansu and close the door of the tabidansu. Usucha: When starting the temae the tabidansu is closed. 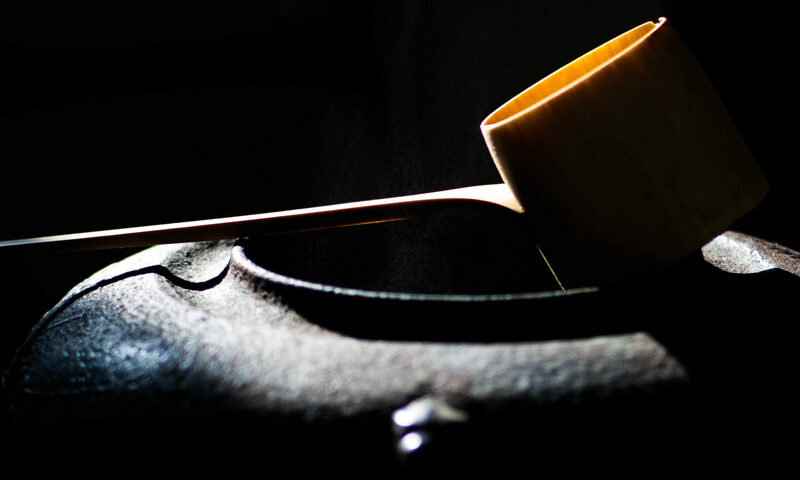 When entering with the chawan open it up, and pull mizusashi forward before taking out the natsume. Usucha: At the end refill the mizusashi as usuall, then move it back into the tabidansu. Do not close the door. When bringing back the haiken-dogu you will place the natsume inside, and the chashaku ontop. Then close the tabidansu, and take the chashaku with you as you leave. Is it usefull to add a short note like this about the procedural things at the end of a post like this? Please let me know in the comment field below. Thank you for creating this blog. I do appreciate the Temae notes very much. It’s wonderful to hear from someone who is as fascinated by the boxes used for chanoyu as I am.